eShave compact Travel Shaving Brush has the same size head you are used to at home and fits conveniently in its travel canister. 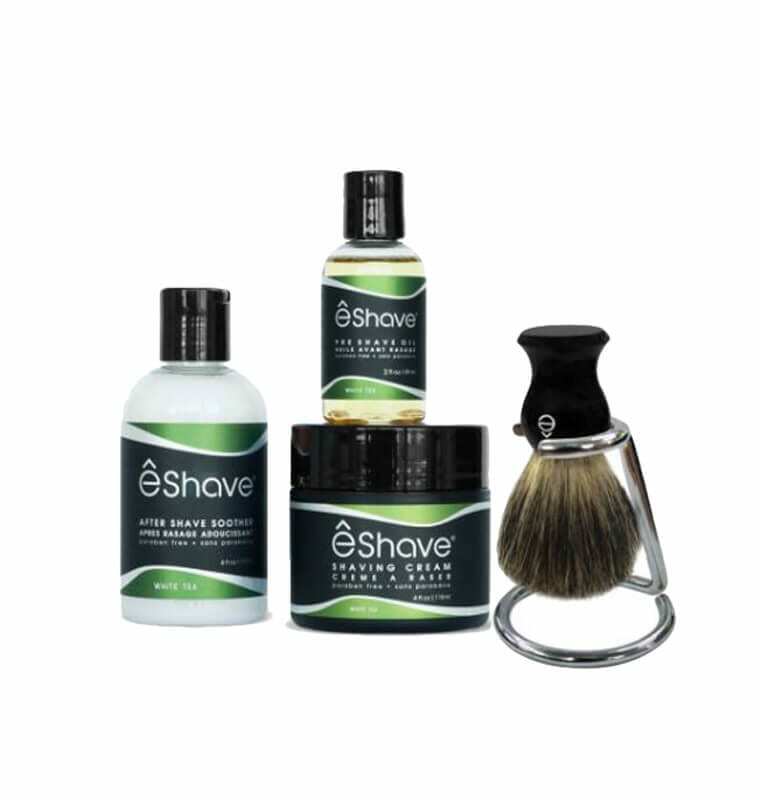 eShave Shaving Brushes are made of 100% Badger Hair. It is the only type of hair that retains water and keeping hot water on the skin is the secret to a close shave. Fine Badger Hair is a good quality hair that softens with time. This brush should last a few years with minimal maintenance. All eShave Shaving Brushes are hand made in house one piece at a time. Shaving Tip: Before the shower, fill up sink with warm water, wet brush, open the hair, drop a dab of Shaving Cream in the middle and close back, throw brush in sink, you will have an amazing, warm, rich lather ready for you to shave. Maintenance Tip: DO NOT squeeze water out, dry with a towel, pull the hair or leave inside canister wet for extended periods of time as this will damage your brush. 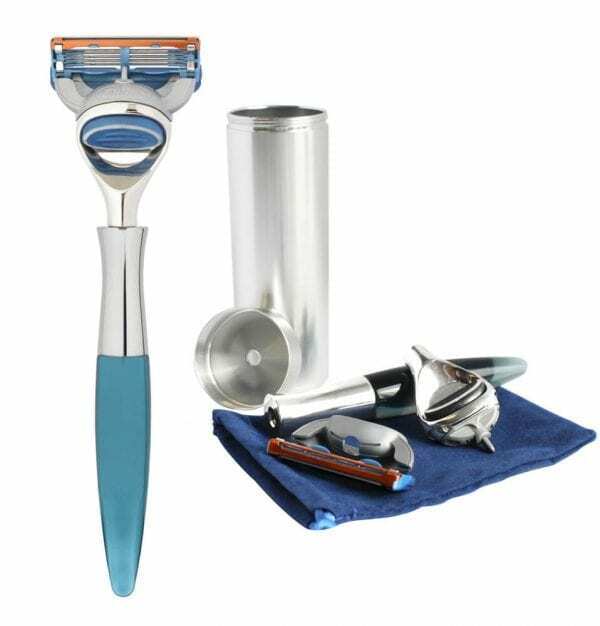 This is the best shave travel kit I have ever owned! I definitely appreciate having the quality of eShave products and a badger hair brush in my shave kit no matter where it is work or vacation takes me. Your brushes turn shaving into an esthetically pleasant experience while effectively preparing the skin for a smooth job. I love them. This is the most stylish brush on the market. With some brushes you pay for style, and get no quality. With this brush, it looks amazing, and it lathers better than anything else out there. Buy this brush! They are not cheap but worth the money. Love it. It provides great lather and a very close shave. BUY IT. My husband has been very happy with his new brush, he had no idea what he was missing by not using a brush for shaving! I’ve had my eshave brush since 2005.It has served me well. I like the fact that it has a long handle. I’m ready to move up to the silver tip, but my brush is still performing as good when I first bought it. Well crafted. It’s easy to think that using a shaving brush will add considerable time to your shaving routine, but that simply isn’t the case. At least that’s not the case if you do it right. 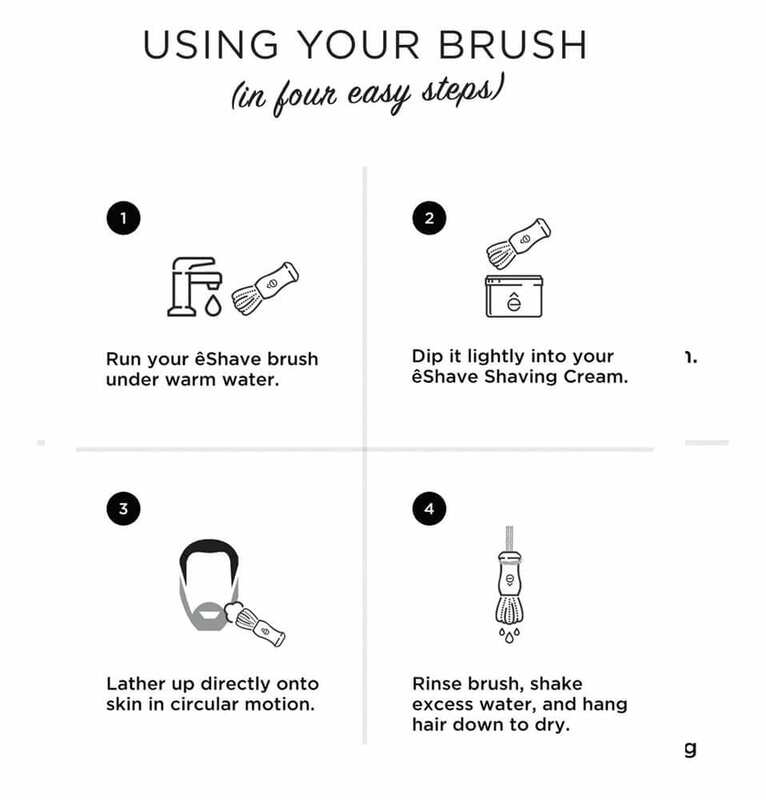 A brush helps exfoliate the skin so it enhances grooming beyond just shaving. 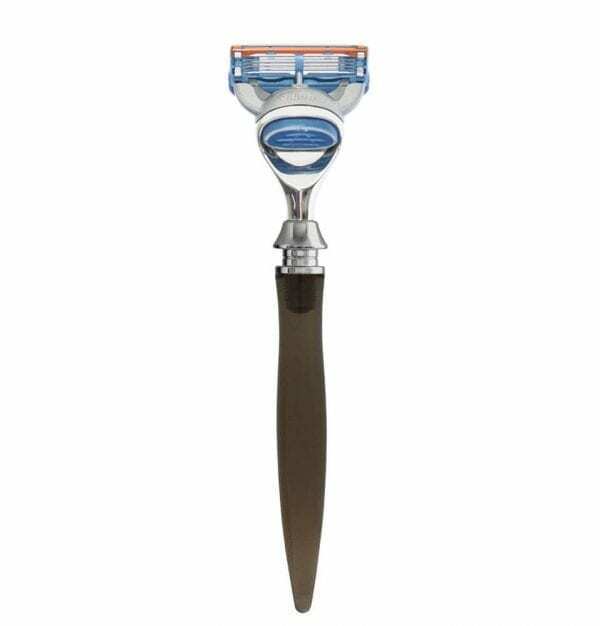 Most importantly, it frees hairs so they can be more easily removed by the blade. The brush lubricates whiskers better than anything you apply with your fingers alone so you get a much smoother and more comfortable shave. If you’ve never tried a brush, try out one of the many eShave models and you’ll transform your morning shave into a whole new experience. I purchased my shaving brush to replace one from Art of Shaving. The brush I replaced was plagued with shedding hairs from almost the first day I purchased it. I found eshave online and have not had to replace that brush now for almost two years! Great job, eShave! I picked up the Fine Shaving Brush and I couldn’t be happier. It has made shaving less of a hassle and more of an enjoyment. My skin is fresher and smoother than ever before. I Almost Look Forward To Shaving! I have been brush shaving for many years now and this brush is among the best that I have ever used. The brush raises an excellent lather and wet shaving is the only way to go to really eliminate shaving bumps.